“If we tip over, no one is going to be able to save you but you.” Brian’s blunt but empowering words, torn from his mouth by the wind buffeting our kayak-for-two, renewed my focus on the panic-inducing task at hand: trying not to drown, while also admiring the view. Seated in the front of the kayak, I stared head-on at the ominous black waves, feverishly wielding my paddle to properly position the kayak, while Brian wielded the camera. Normally more tranquil, melding shades of turquoise and sapphire, today the sea was furiously alive, leaping all around us. We had boarded our kayak in a cove, not realizing that beyond its shelter the sea was having such a rough day. Reluctant to turn back, we kept paddling, at least until we were far enough away for a proper vantage point. That’s one way to see Dubrovnik’s imposing defensive walls. Another way is to walk atop the medieval stronghold. Even laying eyes on Dubrovnik on the heels of such stunners as Santorini and Rome, this fortified seaside city made us marvel. 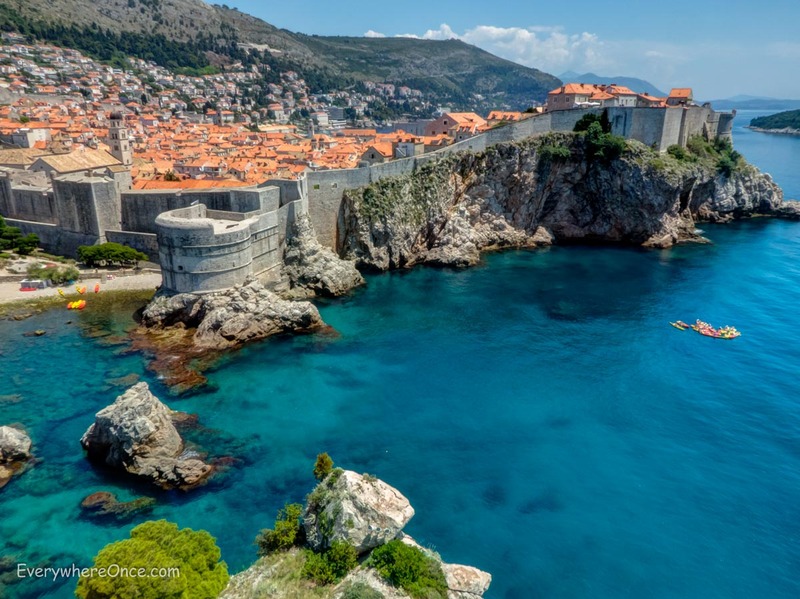 The medieval-era walls stretch for a little over a mile, encircling Dubrovnik’s Old Town and rising as much as 82 feet high in places. Along the way are spectacular views of the city’s cascading, saffron-colored roof tiles and the sparkling sea just beyond the walls. 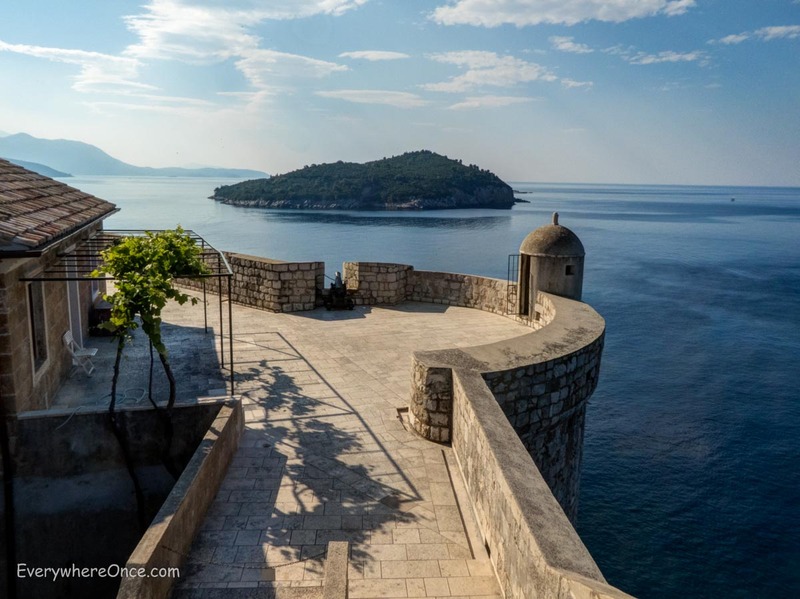 If you have time for only one activity in Dubrovnik, make it this one. Everyone else is doing the same thing, so especially in peak season arrive at opening time to have the walls as crowd-free as possible. Explore Old Town. Stroll along the Stradun, the main thoroughfare stretching across Old Town, veer off onto narrow side streets, climb steep staircases, and linger in Luza Square. Take a turn through the Rector’s Palace, a 14th-century Gothic-Renaissance palace-turned-museum filled with period furnishings, paintings, and other objects like a set of iron chests with ornate, intricate locking systems. Be sure to see Old Town after sundown or before sunrise, when the stone is gently lit, glowing and at its most atmospheric. 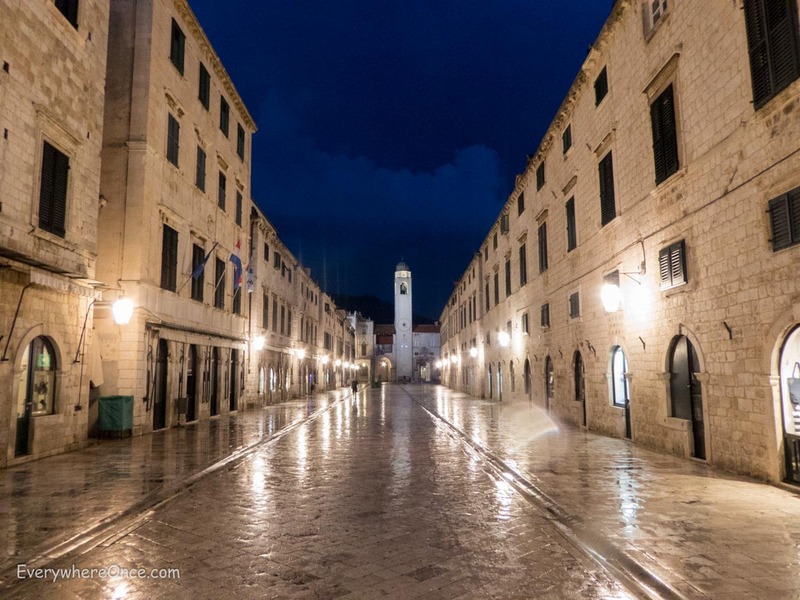 Dubrovnik Old Town, 4 a.m.
Pretend you’re on a Game of Thrones set. 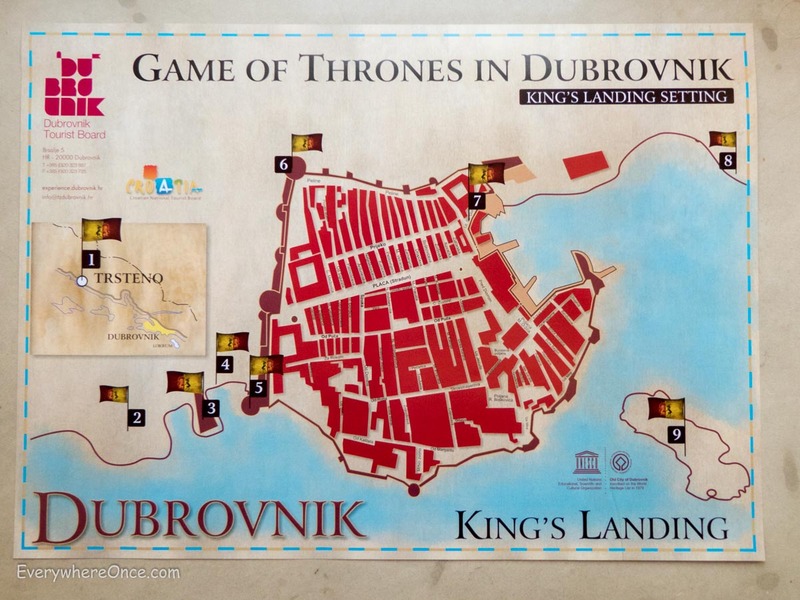 Dubrovnik is a stand-in for the fantasy drama’s action-packed city King’s Landing. Tours are offered by vendors outside the Pile Gate entrance near the visitor center. Or ask for the “Games of Thrones map” at the visitor center and seek out the sites on your own. Imbibe with a view at what might well be two of the most scenic bars in the world. 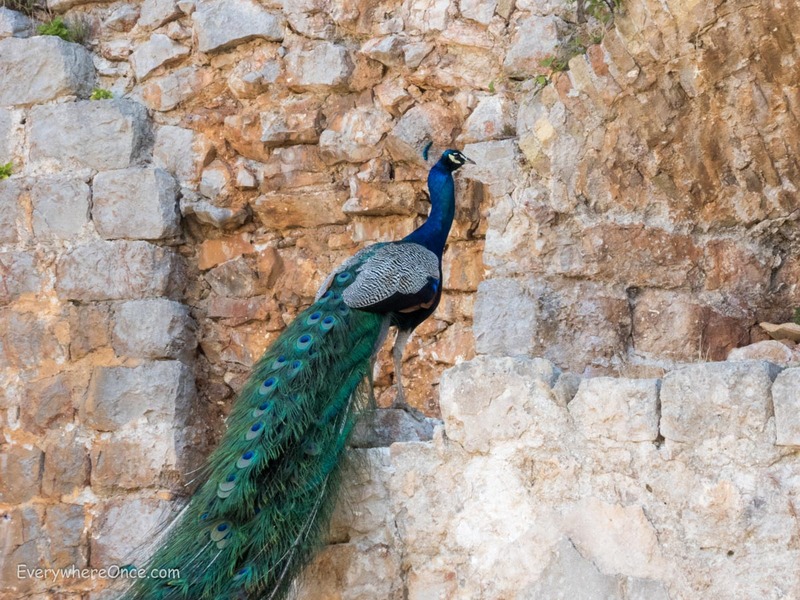 Buza and Buza II are both perched on rocky outcroppings outside the city walls, facing the sea. Keep an eye out because it’s easy to saunter right past their hole-in-the-wall entrances. Sunbathing while sipping is encouraged here, and for the adventurous, so is jumping off the nearby cliffs. Hike Mount Srd. 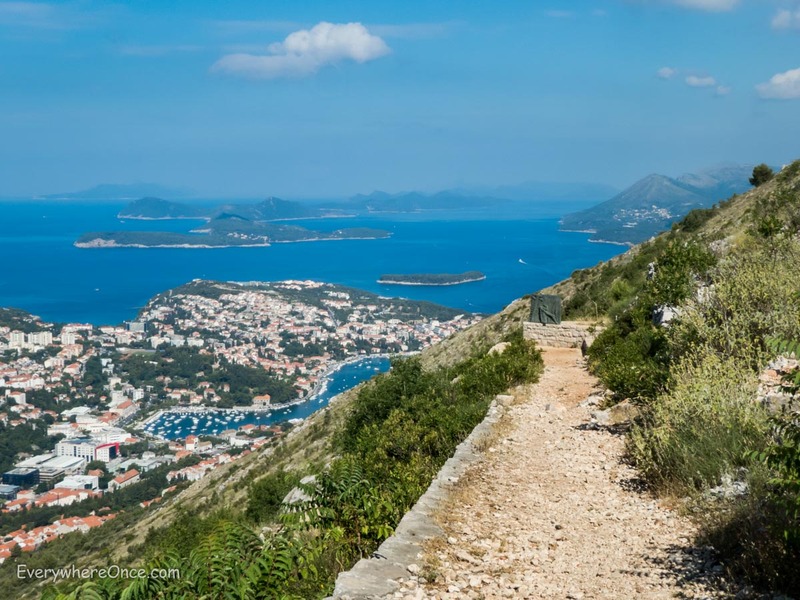 A serpentine path winds nearly 1,400 feet up a mountainside with a worthy payoff: a panorama of Dubrovnik and the Dalmatian Coast. The views along the way are even better than the one at the top, where the vista is partially obscured by cable car mechanisms. Still, if you’re not up for a sweaty workout or you’re on a tight schedule, the cable car (recently restored after being destroyed during the Croatian war for independence in the 1990s) will whisk you up the mountain in minutes. A museum with information about the war is located in the fort crowing the mountain. Meet rabbits and peacocks on Lokrum Island, a short boat ride from the Old Town harbor. Along with creature spotting, activities include exploring a centuries-old Benedictine monastery complex, climbing to Fort Royal at the island’s highest point, and lounging in one of the rentable reclining chairs facing the sea. 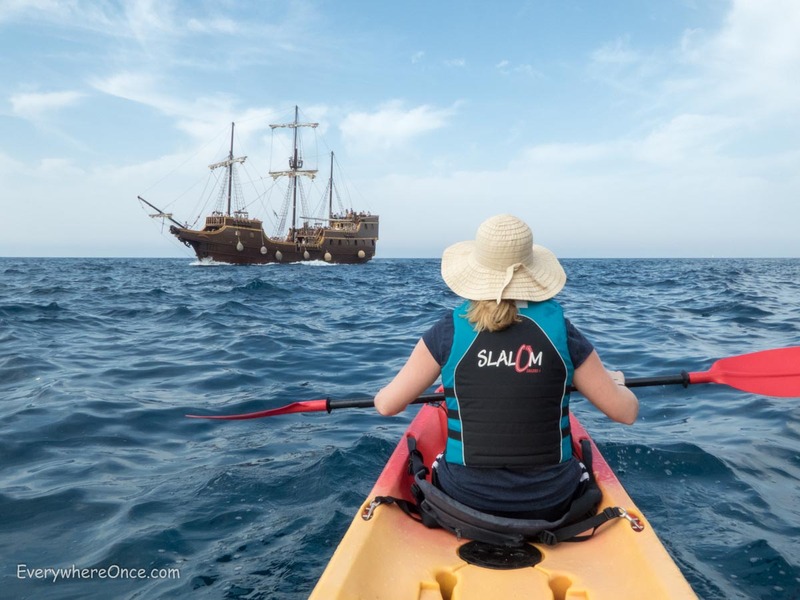 For a do-it-yourself sea voyage, kayaks can be rented at the water’s edge in a cove next to Fort Lovrijenac (also known as the Red Keep to Game of Thrones viewers). Maybe the waves weren’t as ominous as I remember, but that pirate ship looks menacing. Sail to the Elafiti Islands. Tours are available to this archipelago in the Adriatic northwest of Dubrovnik, or take a taxi to the terminal at Port Gruz and pick up a ferry operated by Jadrolinija. Ferries stop at three islands, including scenic Sipan, where we spent several hours wandering around. 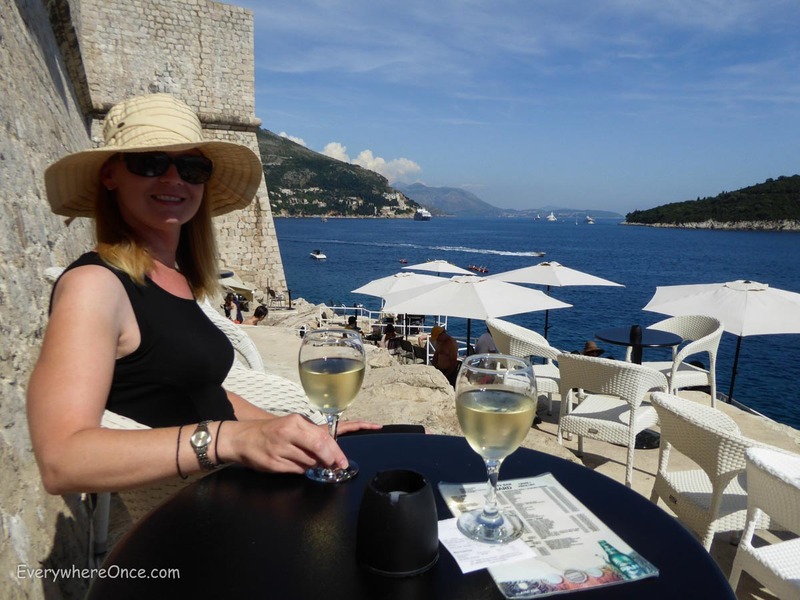 Before heading back to Dubrovnik, we stopped at a café near the island’s small marina. Soon the other tables on the patio were taken over by a group of vacationing minstrels who struck up a lively performance of music and song. After a half hour of rousing entertainment, they left as swiftly as they had arrived—packing up their instruments and downing the last of the free-flowing white wine before sailing away on a day-tour boat to take their talents elsewhere. Dubrovnik is one of my very favorite European cities. I loved the streets, the buildings, the views, and the very, very old feel of the place. You know that feeling of home that you get but rarely, and then it’s from someplace you’ve never been before? For me, it’s Dubrovnik. Thanks for bringing it all back to me! I totally understand what you’re saying about feeling at home in Dubrovnik. We spent three weeks there, and it was still hard to leave all that loveliness! I found your blog about six months ago. It has been very inspirational and enjoyable to read your journal. I was very impressive with descriptive, narrative and informative in every where once site. I appreciate your work!!!! I don’t think it was necessary to get up that early to beat the crowds. It was necessary to get up that early to get photos just before sunrise at the time of year when we were in town. Even then, I only had about 45 minutes of good light to work with. And btw, the photo taken from the wall was well after that. I don’t think you can even get on them before 9 am. I use people in my photographs only selectively – because most people aren’t models and they almost never do what I want them to do. Sometimes, though I get lucky and serendipity happens . . .
I’ll also sometimes deliberately use people to show scale . . . But most of my photos are of subjects where people don’t really help the scene so I work hard to keep them out.